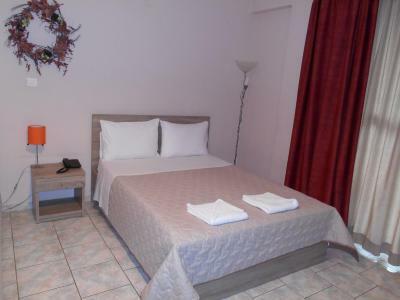 Lock in a great price for Hotel Vasilis – rated 8.8 by recent guests! We were in room 10 on the third floor and the view was fantastic. The balcony wraps around from the front to the side. The room was spacious, the bed was comfortable and the shower was great. The room was very spacious. The view was lovely. Quiet neighborhood. Loved the kitchenette. Friendly, helpful, staff. Family owned. Nice view. 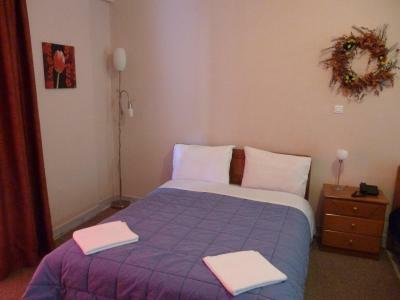 The room was very clean and comfortable for 4 people. It had a full kitchen and attached bathroom. The room was very clean and everything was very comfortable. 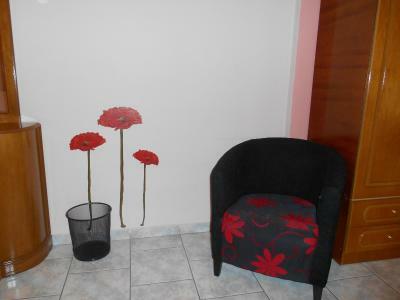 The host had prepared for our visit and I found that very reliable. Our room was huge! We felt like we had our own apartment. The views from the balcony to the castle and sea were stunning. The kitchen facilities mean that you can cook your own meals easily, and there's a large fridge for supplies and leftovers. The bathroom is also really big, which is quite rare at this price point. We loved the little extras - like the outdoor table and hairdryer. There is water in the vending machine downstairs which is very handy because you can't drink the water from the tap. Friendly welcome to a well equipped apartment with lovely view outside. The hotel itself is decent - no frills, but I suppose it's fine for the money. 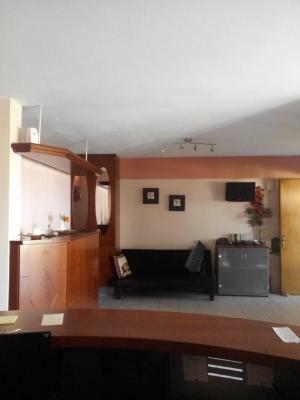 Basic hotel but with a lot to recommend it. Having a kitchenette was a nice bonus. Balconies are large and the view fantastic. 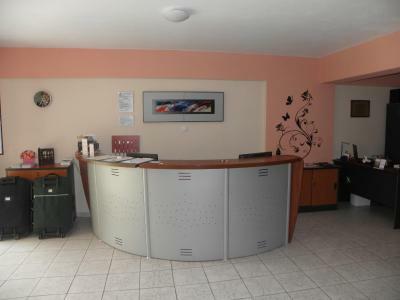 Hotel Vasilis This rating is a reflection of how the property compares to the industry standard when it comes to price, facilities and services available. It's based on a self-evaluation by the property. Use this rating to help choose your stay! One of our best sellers in Nafplio! 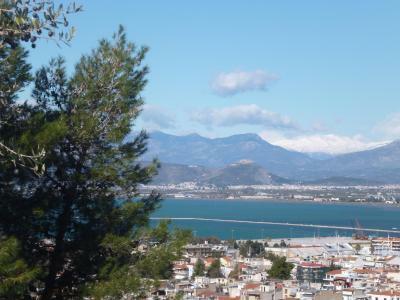 Located on a green-covered hill, Vasilis offers self-catered rooms with balcony overlooking the town of Nafplio and Argolikos bay. Free Wi-Fi is available and free private on-site parking is possible. Hotel Vasilis rooms are very spacious featuring floor-to-ceiling windows. 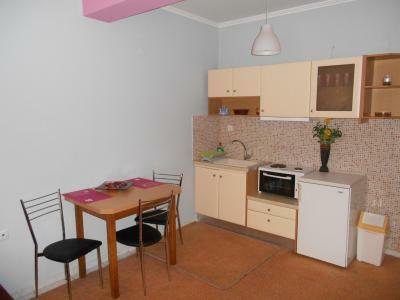 They all include a kitchenette, where guests can prepare a quick meal. 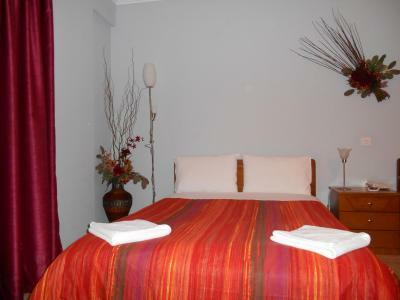 They are equipped with air conditioning and TV, and they have a private bathroom with shower and hairdryer. 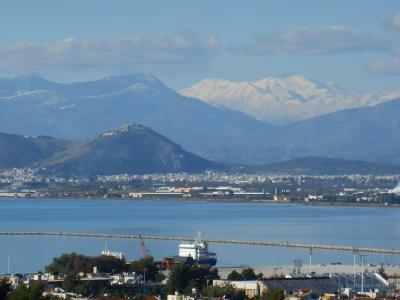 Within a 5-minute walk from Hotel Vasilis, there is a supermarket, while the center of Nafplio is 3,100 feet away. When would you like to stay at Hotel Vasilis? 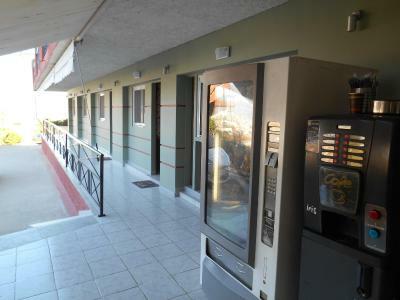 Includes air conditioning, TV, sofa and private bathroom with hairdryer. 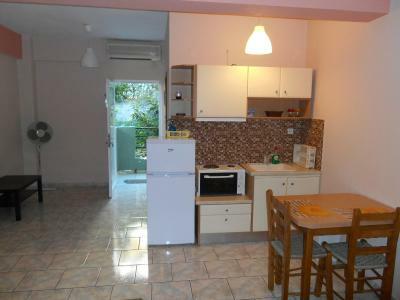 Features kitchen with fridge and a balcony with views of the countryside and beach of Nafplio. 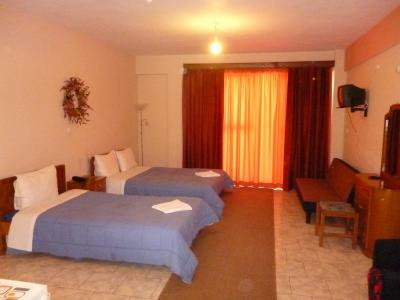 These rooms are located on the ground floor, and they feature a TV, fridge and private bathroom with shower. House Rules Hotel Vasilis takes special requests – add in the next step! Hotel Vasilis accepts these cards and reserves the right to temporarily hold an amount prior to arrival. Kindly note that there is no elevator in the property. We didn't realize how steep the hill is until we got there. While shops are within walking distance from the hotel at about 5-10 mins walk, it is quite a trek up the hill if you're carrying luggage. Highly recommend having a car if you're planning to stay here. Do note that the bathroom had individual boilers which you need to pre-heat for 20 minutes. The hot water is enough for a single shower before you need to re-heat the boiler which can be a bit of a hassle if you have multiple people staying in a room, or small children. The place is located on a hill in a nice quiet neighborhood. 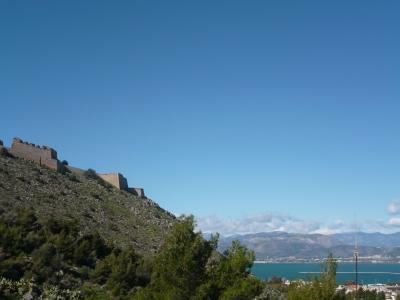 The rooms are very spacious with a fantastic view overlooking Kalamidi Fortress and the bay. We didn't realize the room included a kitchenette so that was a good surprise and the family ended up preparing a simple breakfast the next day. There's free parking on the premises. There are many big dogs in the neighborhood and they bark sporadically at all hours of the night and early morning. It would be pretty annoying if you are a light sleeper. There may be at least some tea or coffee in the kitchen. All I found there - empty jar with the remains of the sugar. Very nice owner, pretty nice view. Though no fault of the motel, there were a few noisy dogs in the neighbourhood who barked at various times night and day. Lady of the hotel was very helpful and friendly. Even though her English was limited (and our Greek non-existent), she explained everything very well and answered our most necessary questions. 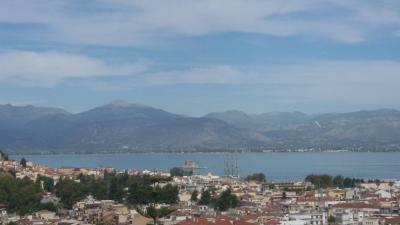 Our room was very large and comfortable with a lovely view over the harbour and up to the Venetian fortress. 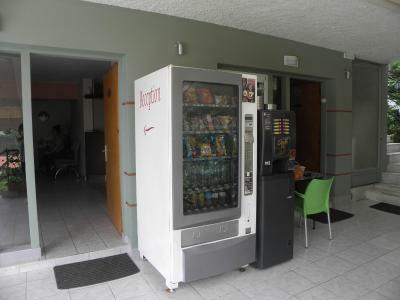 The little kitchenette came in very handy as did the couple of drink and snack vending machines on site. We only stayed one night while driving on, but we could have stayed longer at this hotel. Staff was very friendly but spoke little English so we didn’t get much information about the area or attractions. 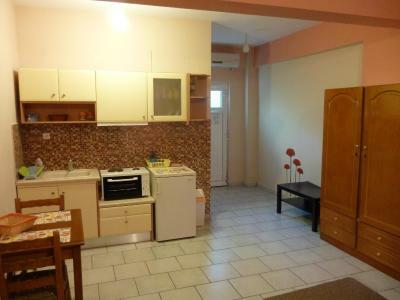 Spacious apartment with sizeable balcony. Perfect for cooking simple meals and doing travel laundry, very functional. 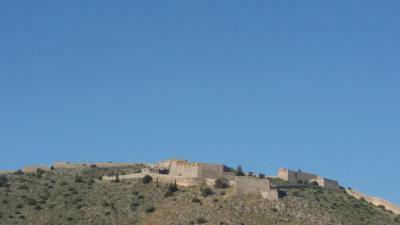 Amazing view of tge Palamidi fortress. Everything was great.i was surprised by size of our room.it was really spacious with new equipments. Bathroom is a bit old but very clean:) there is a good kitchen corner,new Tv,good mattresses,blanket,towels etc. also man on check in was really nice and friendly :) it is not totall city center but if you have a car it is really easy to reach everything. Clean, amazing view & spacious! Great quality/value ratio! 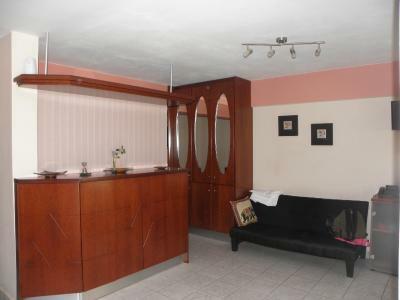 Nice sized room and good value for money. No toiletries or at least 1 bottle of water. Snap car park outside the hotel that followed a narrow steep drive to get there. The room was self catering for four people but there weren’t four sets of cutlery! Excellent value for money. Nice size room. The staff were really friendly. A little further out of town than we expected but it was not a problem as we had a car. Very steep driveway up to the hotel, although the hotel owner was very good in assisting us up. Hot water was a little temperamental & also we did not receive towels on the second day after the cleaner had been. Tried to ask for some and received only one towel for three people! A small inconvenience for a good stay overall. The property was functional and well kept with everything we needed as a large group. 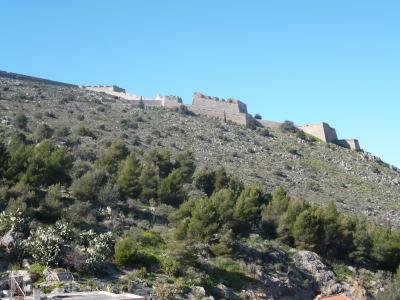 Wonderful views of part of the Palamidi Fortress walls. 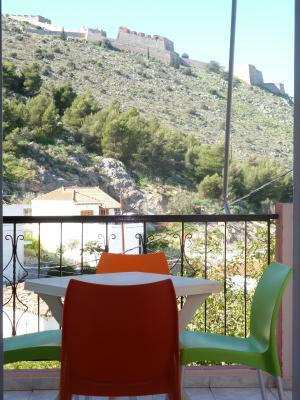 Quiet suburban area of Nafplio short distance from Lidl etc made breakfasts cheap. Good for family groups as the rooms were very spacious.